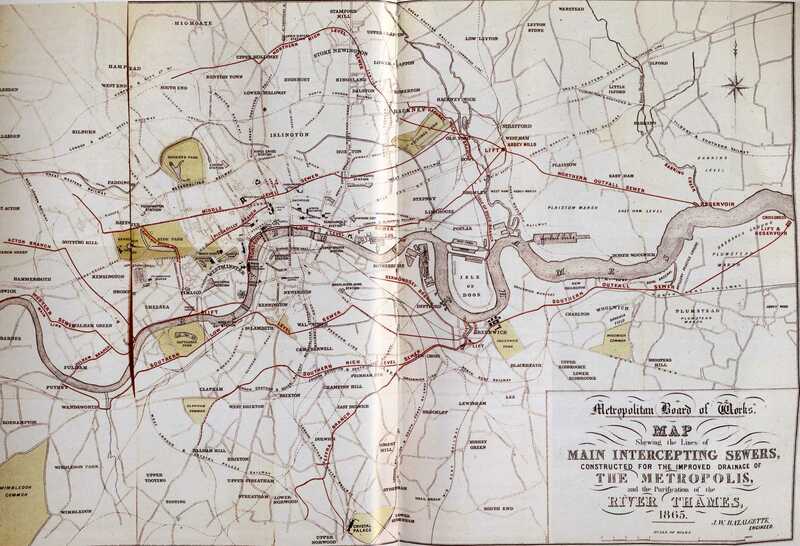 London has many networks – roads, tube trains, electricity, water – but there is another key one, one which was very important in allowing London to become as large as it is, thanks to crucial engineering work led in Victorian times by Joseph Bazalgette – the sewer network. 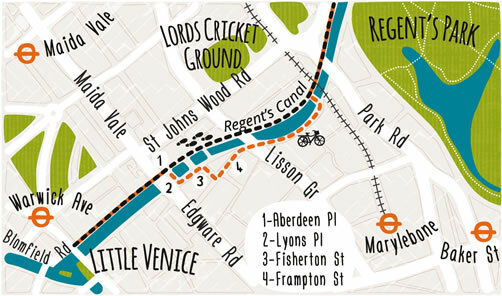 A complex sequence of pipes carries London’s waste, and surface runoff water, generally eastwards (i.e. downwards), often ending up at Crossness (south of the river) or Beckton (north of the river). In typical Victorian style, the mundane nature of the facility didn’t stop the creation of carefully tiled tunnels and ornate buildings. Abbey Mills is sometimes called the “Cathedral of Sewage” and has featured in a number of films – remember the Arkham Asylum in Batman Begins? Finding maps of this hidden network is hard. 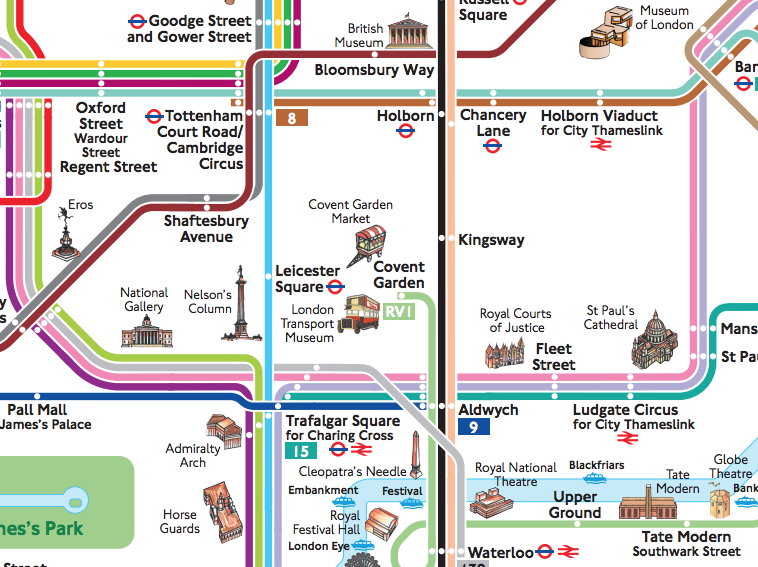 Likely for security reasons (the network is crucial now as ever to the quality of life in London) the authorities do not publish maps. However, glimpses of a pretty comprehensive map can be seen in the aforementioned Abbey Mills, and has been spotted by people who are on occasional tours of the site, such as London Open House. 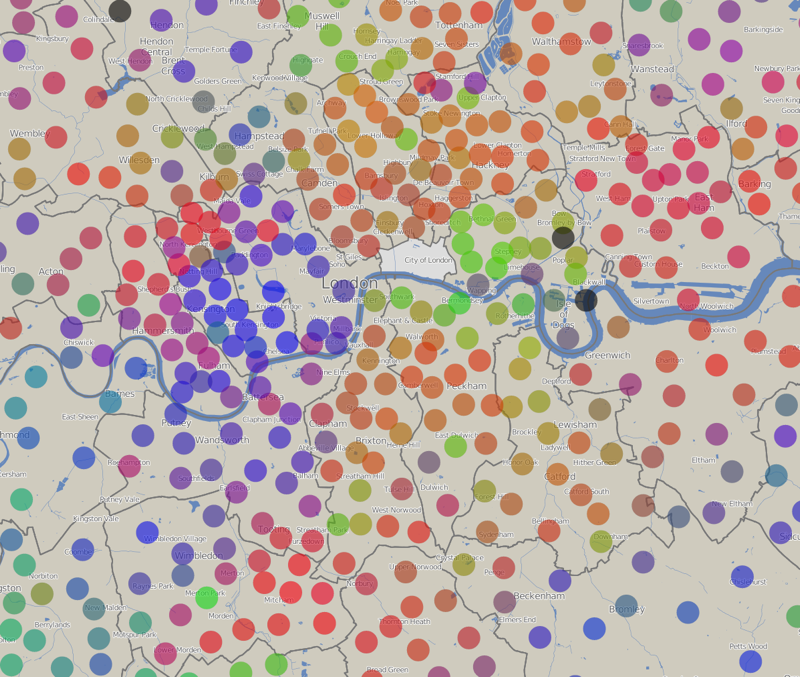 Matt Brown, Londonist editor, took the above (City of London and Bankside) and below (Chelsea and Battersea) photos of part of the map. It is called “London County Council Main Drainage”, and likely dates from the 1950s, which was when the “historic” part of Abbey Mills was in full operational use. (The LCC ceased to exist in 1965). I like the simplicity and clarity of the map. 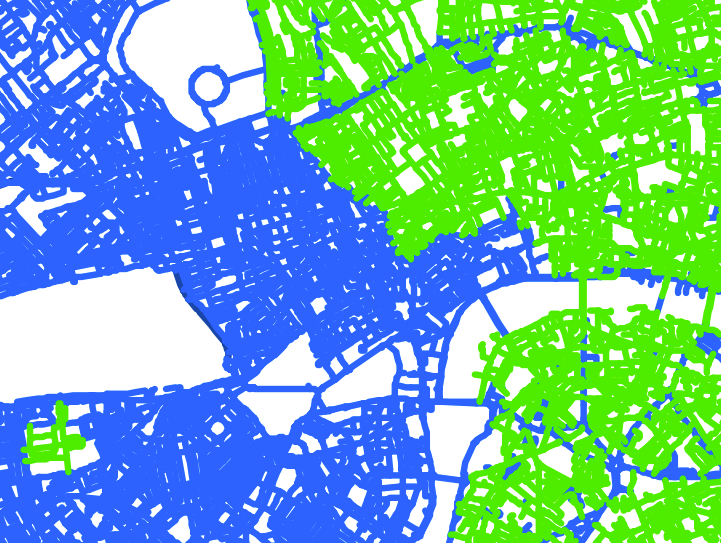 It takes a detailed black-and-white map for its background, and then adds the sewer network in bright, primary colours, and clear, clean text, making whole network very visible at a glance. 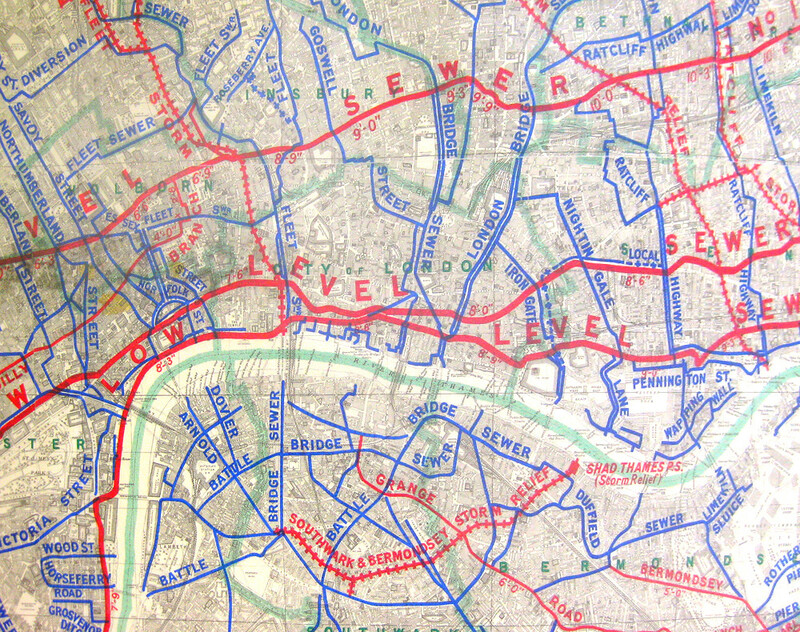 Blue indicates main sewers, and red the larger “intercepting” ones which the main sewers connect to. 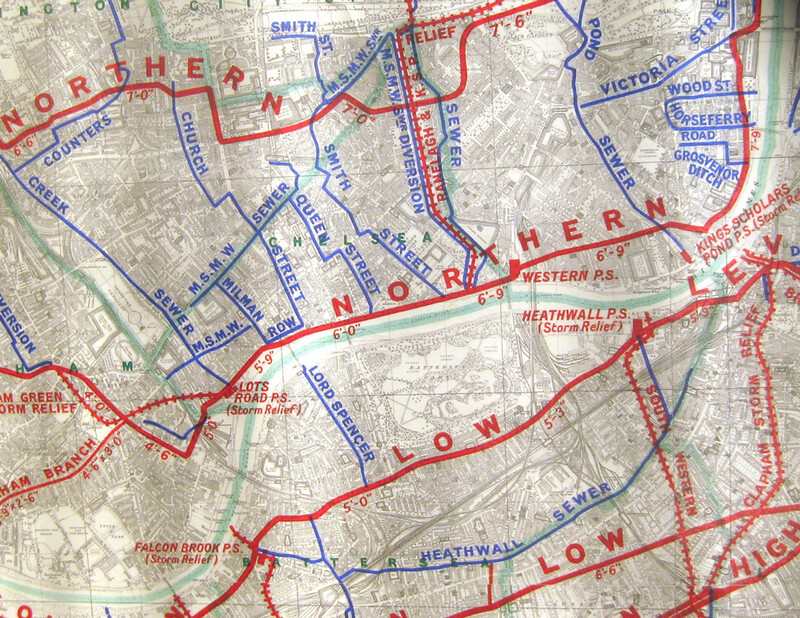 Red crossed lines show storm relief drains – generally bad news if these get used, as these are often buried rivers which flow straight into the Thames, rather than managed sewers going to treatment works. The storm relief drains get used rather a lot actually, after heavy rain, due to limits of capacity for the existing systems. Thames Water, the current water infrastructure company for London, is currently tunnelling a new sewer, the Lee Tunnel, to stop the Lea River being used regularly as a storm relief drain, and has plans for the Thames Tunnel, aka the “Super Sewer”, which would do the same for most of the other storm relief drains, this would improve the water quality of the Thames significantly. In researching this post I found this lower-resolution photo of the whole map. 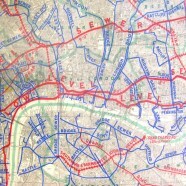 I also found this map of the whole network, from 1930. It is from this book. 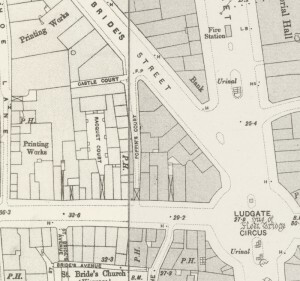 Here’s an 1880 map, and one right back in 1865! Great page, I love the clear map sections shown here- History needs more maps! By way of contrast, the other maps linked-to don’t look nearly as clear, and to add to the confusion I get the impression that the naming of various sewer branches may have varied over time (is that right?) I’d like to make use of some of this to try to clarify some of the wikipedia pages about London’s sewers… would that be OK? They’re not our maps so we can’t say whether or not it’s OK to use the information on them – you would need to contact the rights-holders and/or the photographers.